Sure, Jay-Z and Sting zip around in luxurious private jets, but the most exclusive transportation club in the US rolls about 350 mph slower. It does actually roll, though: The American Association of Private Railroad Car Owners includes roughly 120 tycoons who own their own train coaches. To get going, they must hitch their boxy indulgences to Amtrak or a short-line railroad train. Many of the private cars are restored mid-century classics, like the Scottish Thistle, owned by ex-freight transportation executive Dean McCormick. It’s more than 800 square feet of luxury that would make most city dwellers envious: five beds, a dining room, kitchen, observation room, two full bathrooms with showers, and even a washer/dryer (not to mention 480-volt power capability and two backup electric systems). Such accommodations don’t come cheap—”A private car can cost up to a million dollars,” McCormick says. And operation isn’t free either: It costs about $5,000 to couple to an Amtrak train for the 2,256-mile trek from Los Angeles to Chicago. Of course, most railcar owners are die-hard train nerds. McCormick credits the railroad tracks next to his childhood home. 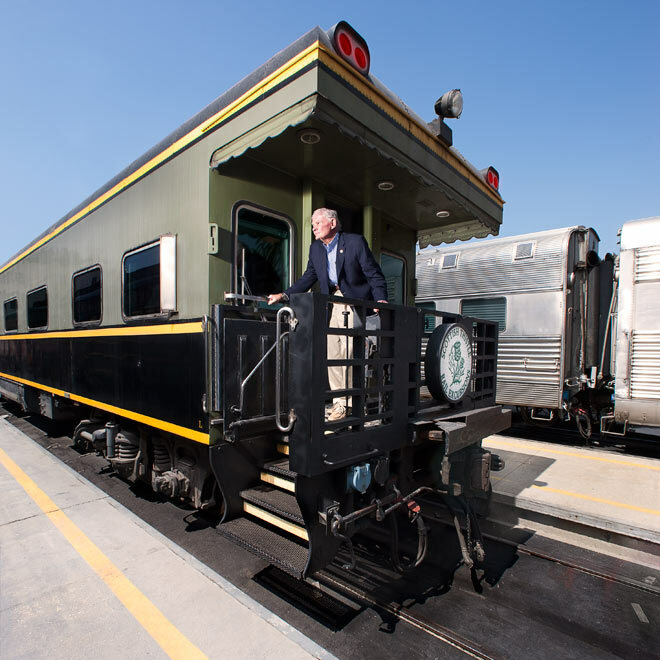 “In those days, there were trains passing continually, and I was awestruck.” Though he’d ridden in private rail cars since the ’70s, he didn’t realize his dream of owning one until 1994, when the Canadian National Railway auctioned off two from its fleet. You can now charter a ride on the Thistle for $4,000 a day—Cristal not included.